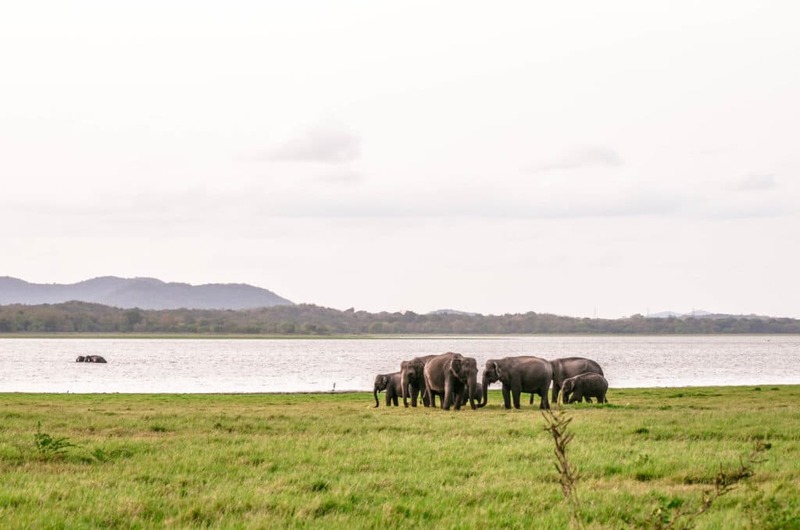 I never in my wildest dreams thought I would see elephants in the wild— yet, there I was, at Minneriya National Park in Sri Lanka, absolutely in awe of my surroundings. 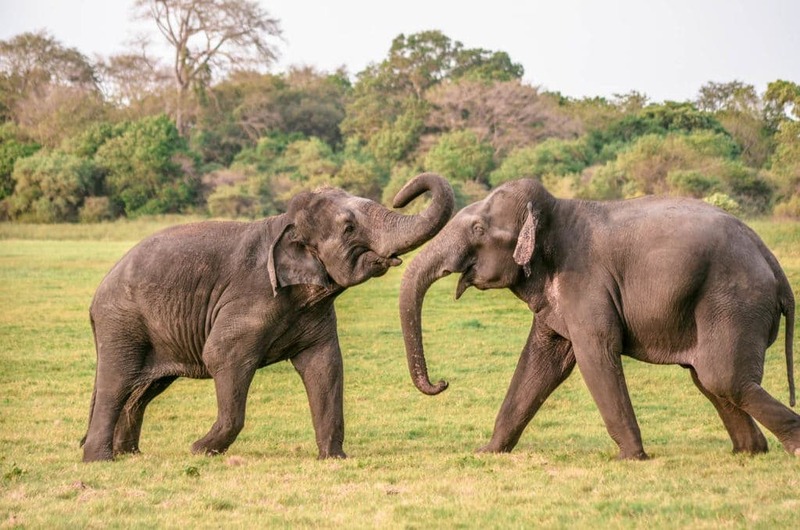 The journey to Sri Lanka from the U.S. is long, there’s no doubt about it, but every single hour that I spent on a plane or in a van was worth seeing elephants in their natural habitat. It is truly beyond description. I’m going to be honest, before I visited Sri Lanka, I didn’t know much about the island nation, other than its location off the coast of India. I have an affinity for Asia, so I didn’t hesitate to accept the invitation to visit as a guest of the Pacific Asia Travel Association (PATA) and Sri Lanka Tourism. What followed was an incredible journey to an island that’s unlike any other— full of amazing culture, food, natural beauty, and wildlife. 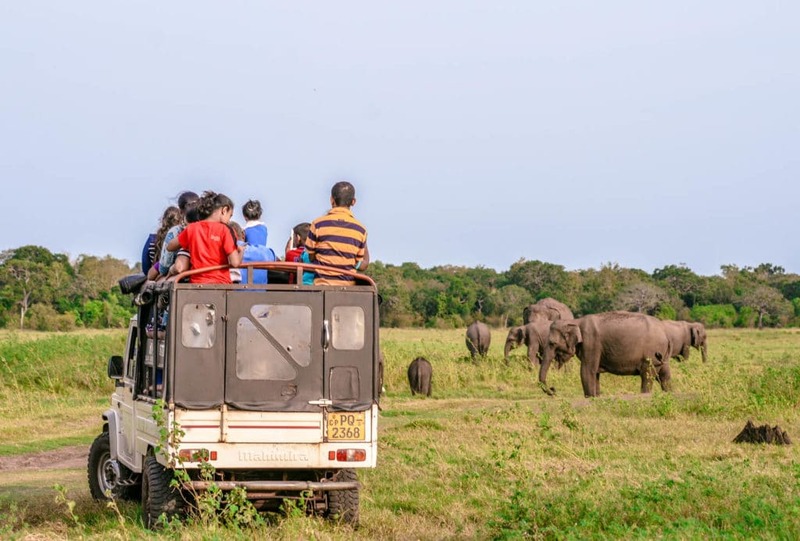 Each day of my week long trip I discovered something new, every experience was unique and left a lasting impression (which I hope to one day share with my family)— though if I had to pick one highlight, it would be the elephant safari at Minneriya National Park in Habarana, Sri Lanka. For the safari, we hopped on a 4×4 jeep and were escorted into Minneriya by a guide, also known a tracker. The trackers communicate with each other while in the park and inform the driver of the best routes. This basically guarantees that you’re going to see elephants. 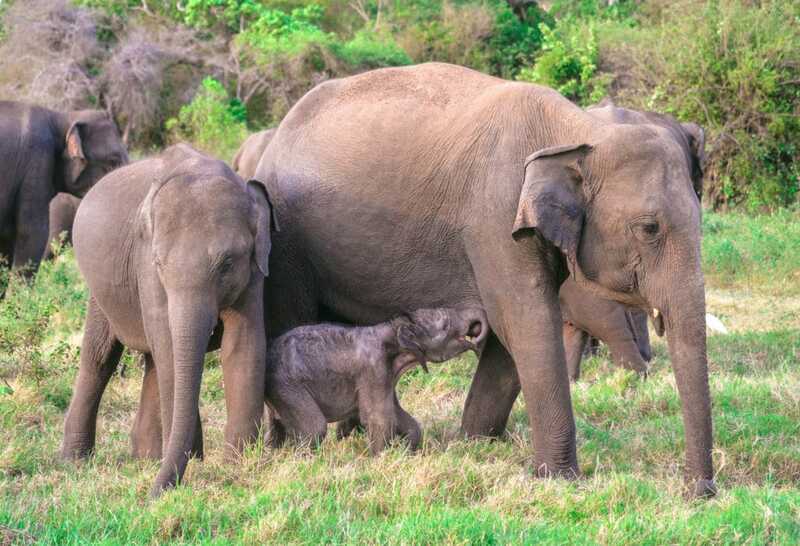 Minneriya is known to have over 300 Asian elephants. Within 30 minutes we had our first elephant sighting. It was an entire herd just grazing in the field. My mouth stayed open for the duration of the tour— it was that incredible. I still can’t believe how close we got to the elephants — the entire time I had to remind myself that these were wild animals. They have never seen a cage or have been fed by humans. This was very apparent when we witnessed the aftermath of a fight between two large male elephants. 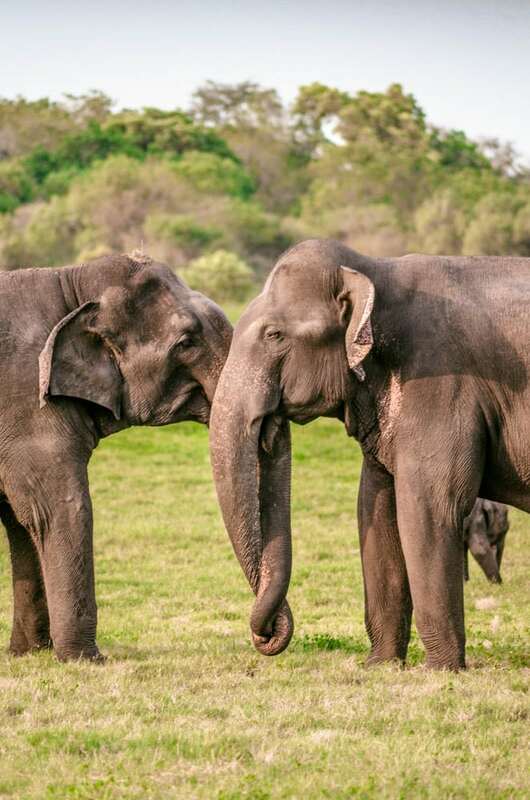 One elephant had rammed his tusk into the other and was fatally injured. That’s just how life is in the wild. 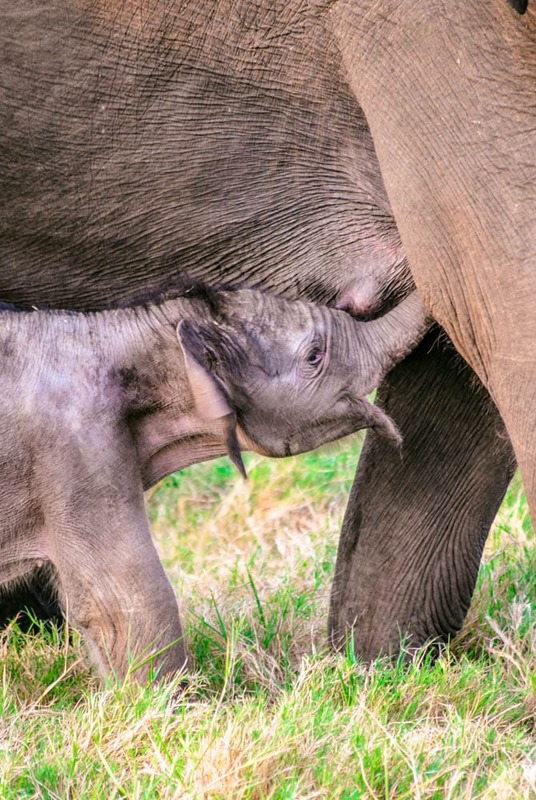 On a more uplifting note, I saw a three-week-old elephant nurse on his mother … it was the cutest thing ever! It was just elephants right and left for several hours. I can’t accurately describe what it’s like to see these giants in the wild, so I can only urge you to put Minneriya on your bucket list. 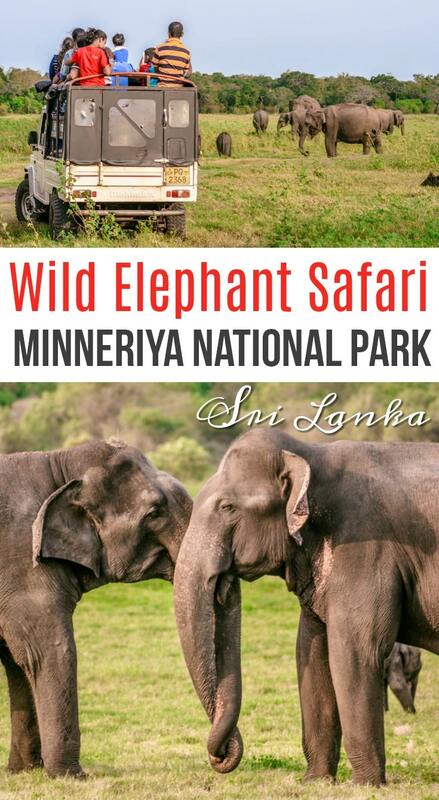 Minneriya National Park is located in the cultural triangle in North Central Province, Sri Lanka. 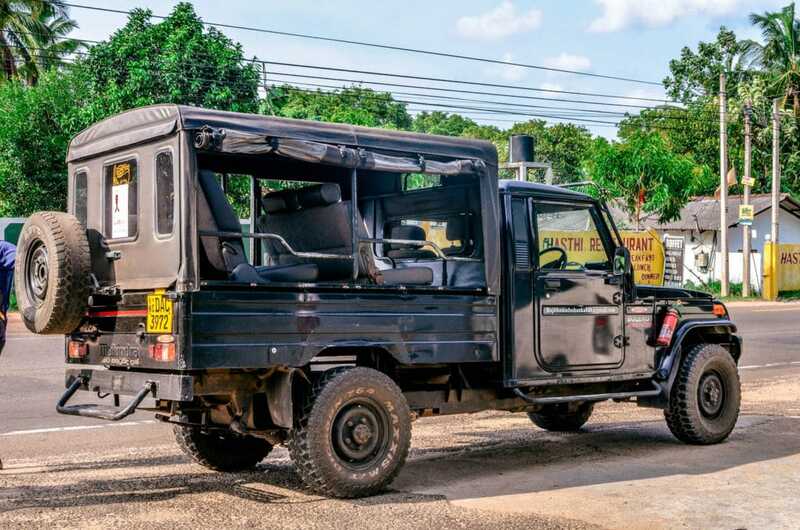 My recommendation for getting around Sri Lanka is to hire a private vehicle with a local driver for the duration of your stay. You will be on the road for hours at a time, and this guarantees comfort (and AC!). 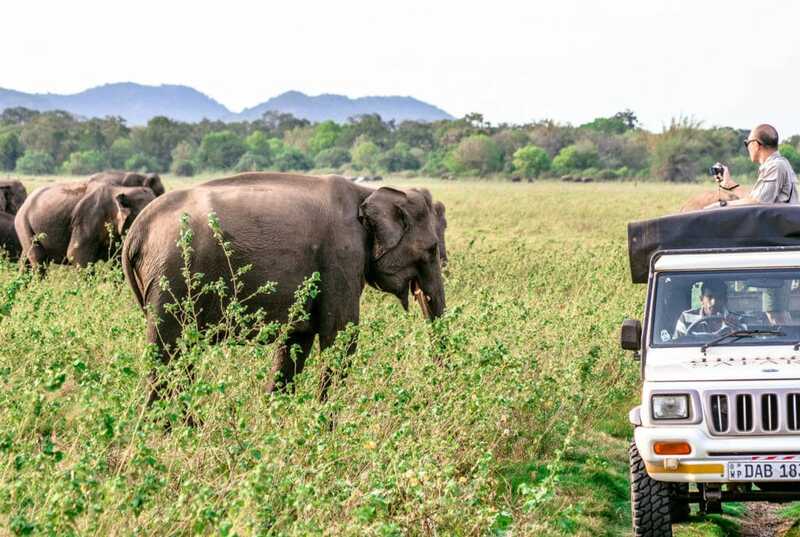 For the jeep safari in Minneriya, many tour companies are available for hire on the road leading to the entrance of the national park. 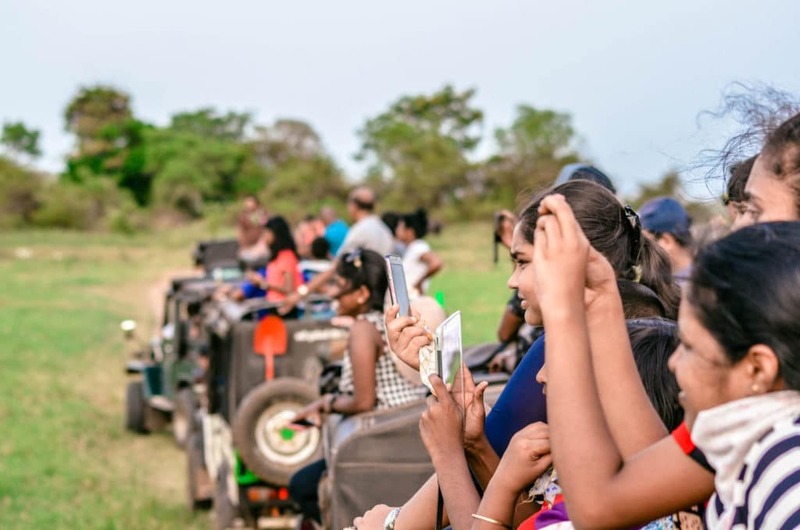 You can also book private jeep safari tours in advance online— TripAdvisor/Viator is one of my favorite booking companies and they have many tours to choose from in Sri Lanka. The average elephant safari in Minneriya lasts 3 hours, so you want to make sure you have everything you need for that period. Here are a few suggestions. 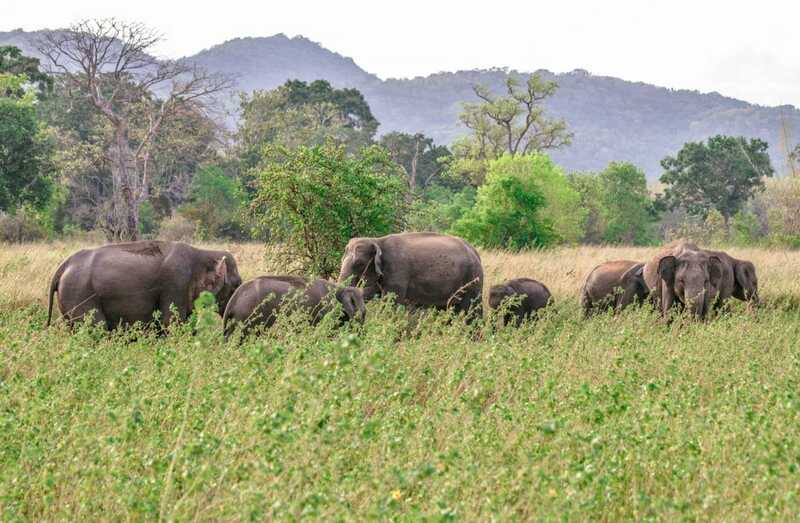 In addition to Minneriya, you can see wild elephants at these National Parks in Sri Lanka.